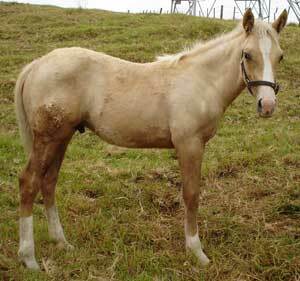 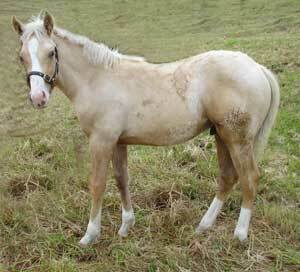 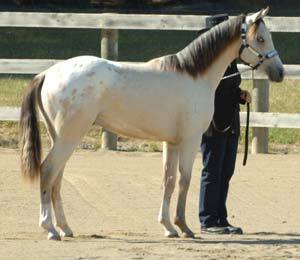 The first ever foal by Mighty Luminous is a stunning palomino dun blanketed colt, who is simply exotic to look at. 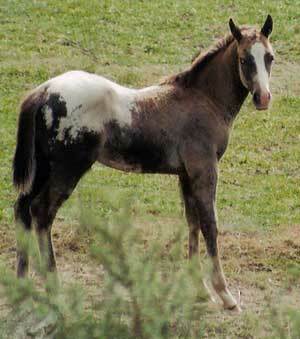 This very striking little guy has an exceptionally sweet and calm nature. 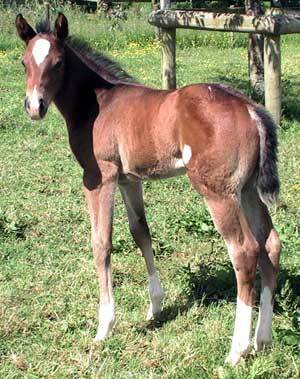 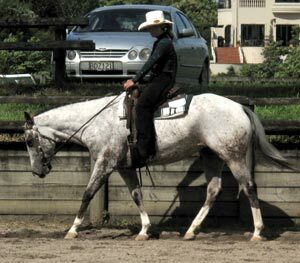 Built to give a very smooth ride, he's set to be a lovely all-round riding horse. 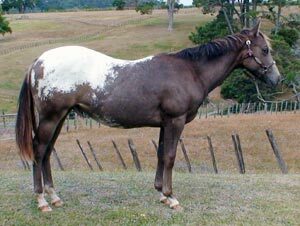 Thanks and congratulations to the Thode family on the arrival of this gorgeous filly; bay with brush strokes of white over her rump. 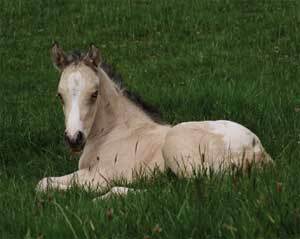 Thanks and congratulations to Helen Singleton on the arrival of a super palomino colt with 4 socks, a blaze and frosting over his rump.